No, it’s not an Easter bunny gone astray from a nearby shopping centre. 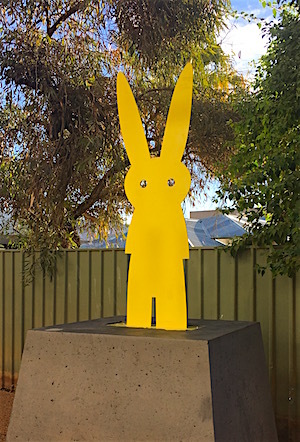 This mild steel, laser cut yellow rabbit bolted to its massive concrete plinth is ‘public art’ and it’s staying, marking the entrance to the reopened thoroughfare between Parsons Street and the Hartley Street carpark, which provides the main access to the new Supreme Court building. As the visual marker of the approach to the court, the one-minute wonder rabbit – no plaque yet but surely from the Melbourne studio of Peter Mclisky (see image at bottom) – is dismaying. “Dignified, stately, and authoritative”: these were the qualities sought by the Territory Government for the building. 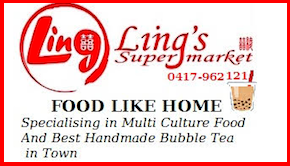 They are shallow enough given the scope of what could have been striven for – such as an expression of “a fair and accessible legal system for the community”, in keeping with the Department of the Attorney-General and Justice’s vision statement. Careful thinking about those terms in the context of our troubled jurisdiction – in which Aboriginal people make up 80% of the court lists despite being only a third (36%) of the region’s population – would have led to a very different result. The thinking would have meant consultation, but there was none, virtually guaranteeing the massive missed opportunity that we now must live with for decades to come. 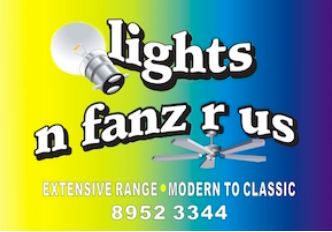 The government had its technical requirements as to the function of the court spaces, but otherwise it was open slather, underwritten by a 20 year leasing agreement, for owners of the site, the developer 19 Parsons Street Pty Ltd, an affiliated company of Sitzler Bros. So we shouldn’t be too dismayed by the rabbit. In many ways the form of this feral invasive species is the perfect representation of what has gone on here – the repudiation of all that is rooted in this place, including all the small steps taken between its peoples to better understand one another and so better live together in this hard, beautiful environment. 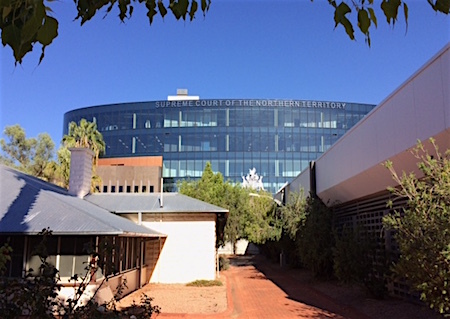 Left: Supreme Court building viewed from Hartley Street. Photo by Prue Crouch. 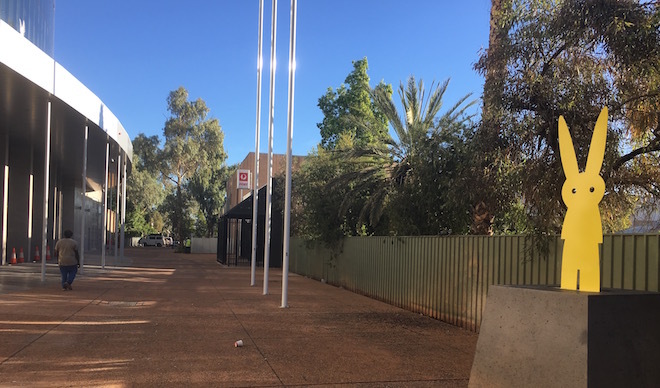 But wait, the building may be a privately-owned commercial venture, but the thoroughfare out front is public land, vested in the Alice Springs Town Council, and they have a public art policy and a Public Art Advisory Committee, don’t they? Well, in a confidential meeting in August last year our civic leaders specifically negotiated away any role in relation to public art for the thoroughfare. Why this should have been a matter discussed behind closed doors and never put to the public is not clear. Council business papers for March this year show they executed a deed of agreement with 19 Parsons Street Pty Ltd, through its director Michael Sitzler. The term of the deed is 20 years and its main purpose is to formalise arrangements for the cleaning, repair and maintenance of the thoroughfare, which will be council’s responsibility in return for an annual $5000 contribution by 19 Parsons Street. So that’s that. No joke. Below: Public art anyone? Some of the variations on a theme from Peter Mclisky and this in a town that is a hub for desert Aboriginal art, acclaimed the world over, and soon to be the starting point of the Territory Government’s $100m Arts Trail initiative. This is an insult to the arts and cultural community of Alice Springs, and a neglect of the enormous capacity we have here. A bit similar to the Gunner government sending $1m to Sydney for a arts / cultural event (Partyeme) in Alice Springs. I love the Bunny. Goes to show Michael has a great sense of humour. What a way to give the finger to your detractors. Hilarious. Re John Bell and lie lady lie. Sorry mate, you are not up with your music. I would suggest it is a take off from Bob Dylan’s classic which begins “Lay, lady, lay”. @$for Eugene. Mate, what we have to remember here is that Mr Dylan was a feral social agitator who got a Nobel Prize for such immortal lyrics as “Lay,Lady, Lay, Lay Across My Big Brass Bed”..if a bloke can score a Nobel when he can’t even get the word grammatically correct (it should be Lie, Lady, Lie, Lie across my big etc)…then I would like to nominate Melanka Bunny for a Nobel…for agitating us lot over a far more worthy social topic…a court house building…can see Melanka Bunny in future years…on the roof of the Council Chambers…laughing….at us silly mere mortals…rabbiting on …over a feral…sucked in! Thanks Kieran, for those insights. “Dignified, stately, and authoritative”? I’d say more like undignified, overblown and suffering a severe case of disproportionality. Dylan once commented that a woman’s leopard skin pillbox Jackie O hat “balances on your head like a mattress balances on a bottle of wine”. This building balances on our architectural landscape like a dead and bloated beached whale. Perhaps the Sitzlers could complete their act of contempt for their old home town by naming it the “Beached Az” building? @ Charlie Carter. Sense is subjective. Some people laugh when others don’t and vice versa. Cheers. While all of us have been rabbiting on about the iniquitous Yellow Feral, we have overlooked coming up with a birth name for this little fellow. I would like to toss my hat into the name ring with a suggestion – MELANKA. It would commemorate a hostel of legendary fame, a veritable warren of boltholes where countless numbers of us young Ferals lived and loved and multiplied and are yet to be eradicated from the fabric of a great town! @ Russel Guy. Can’t quite make any sense of this comment, however most of the comments come from people who are not exactly recent arrivals. Alex born here, Frank forty plus years, etc. All quite irrelevant to the subject anyway. It is Michael Sitzler giving us the finger, as he leaves town, and for voting out his mate Adam Giles who gave him the job. Which produced a horror of a building which we all dislike intensely. We really need to get to the bottom of the Council decision to exempt it from the Public Art process. 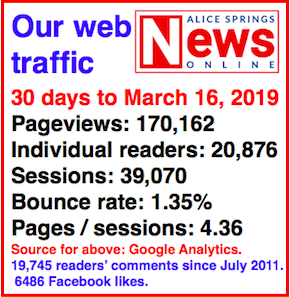 From reading these comments over a number of years, there are a lot of disgruntled people who have moved to Alice Springs in recent times, who appear to want the place to conform to their aspirations. They talk about “remote” and “communities” in the abstract. They have no idea of Mbantua. They want what they think life should offer, according to what they read in the glossy inserts or la dolce vita on television. When the lights go out and it’s time to cook dinner on an open fire, what then, ye dreaming? I agree with Chris, I like the building. Very impressive, although I didn’t know about the smart glass. Good to see something new and on such a scale in town, although some people would like to see no growth in town so it could be forever just like that town in that book. @David, 18 April,the energy used in materials for the building construction is irrelevant as it will stand there for a very long time. Finally a new building in town that will not need to be pulled down for decades.The church on Wills Terrace is another example of a building that will stand for centuries (beautiful use of concrete and local sandstone). Love the curves and colours, an attractive high tech solar passive design (all thermal mass inside building insulated by smart glass) perfect for a desert town. One wonders what the cost was to the NT Government for this sculpture. Surely something with an indigeneous theme or a combination of indigeneous and non-indigenous Alice Springs/Central Australian culture would have been more appropriate IMHO. It’s a pity that Alice has no artists of its own. If only there was someone in town who knew how to draw or make stuff. We could have a local artist making art for us. I think it is a great building for the centre of town and should be very energy efficient. Smart glass would have been used for the exterior with all the thermal mass, concrete and steel on the inside which should keep the inside temperature stable all year round with some aircon in summer and very comfortable in winter. A lot more energy efficient than most of the single block structures in town. Like all high rise buildings in cities this one also will never be pulled down. Better start liking it and most people will,it is a great building. @Greg. Huh? “Rabbit: a poor performer at any time?”. Whoever came up with that one at Oxford Dictionary House musta had one too many Easter Eggs. Coz Bugs the Yellow Feral sure gets the chocolates in the Reproduction Derby! Better than Maybe Diva. ‘Rabbit With Yellow Mustard’ and a ‘Camp Oven Court’ seem a suited combination. See an excellent recipe from Milner Meats and a comment on earlier article that the courthouse reminded reader of a camp oven. Perhaps when Adam Giles’ government are celebrity chefs they could cook and eat that rabbit on the top floor. All in all, a costly insult to current and future Central Australians and our townscape. The sculpture is small and unimposing. The building is much too large and imposing. Congratulations to whoever came up with the rabbit. It is a perfect accompaniment, as some correspondents have pointed out, to a building that is totally wrong. I wish that building could fall down. It will forever stand as a testament to the arrogance and distastefulness of Giles and his disgraceful mob. 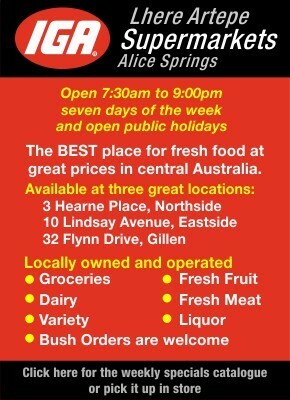 Hi Alice Springs. Please relocate this bunny to Araluen Playground. Like the Russian system. The more people starved the bigger the public buildings their government built. Re the rabbit, just thumbing their noses at all us bunnies who supply tax monies for them to waste on rubbish. The rabbit is quite symbolic. An introduced species that continues to decimate this land costing millions trying to eradicate…….or on a more mocking note the two ears could represent two fingers…..lest we forget. I went to see the rabbit for myself. Two kids walked past, talking in language. So there we have it – out of the mouth of babes and infants – the local name for the Supreme Court of the Northern Territory. Your headline says it all, Kieran. It beggars belief. Alice’s Yellow Peril (reference to Ron Robertson-Swann’s sculpture for those about to lynch…). How pathetic, and therefore, as previously stated, in perfect harmony with the building and the process of its creation, really. Given it is funded by the people, and in a spirit of ‘transparency’ that reflects the design ideology behind the glass Ark, could we know how much this work and its (significant) plinth cost, and how the selection was made? All I can say is how bloody ridiculous. 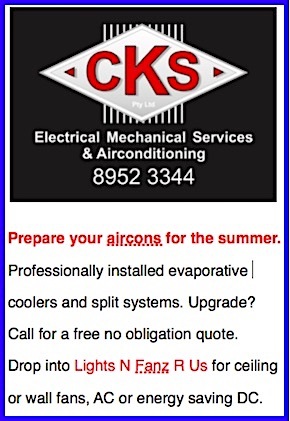 A better choice would have been a Kangaroo, a bloody rabbit? Or maybe that’s Peter Rabbit looking for god knows what, maybe wisdom from within the great ship in the desert. In the view from Anzac Hill looking south over the town and Heavitree Gap, the outsize glass building is the Supreme Court of the Northern Territory. The four-storey $18m courthouse opened in 2016 and has divided local opinion especially over the public / private agreement between the government and Sitzler Construction.